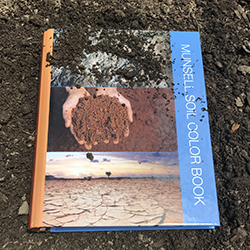 Munsell Color System; Color Matching from Munsell Color Company > Munsell FAQs > Why Did the Soil Color Book Cover Change? 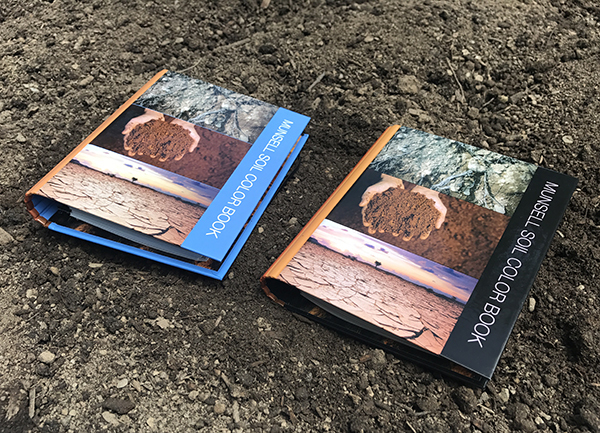 Why Did the Soil Color Book Cover Change? 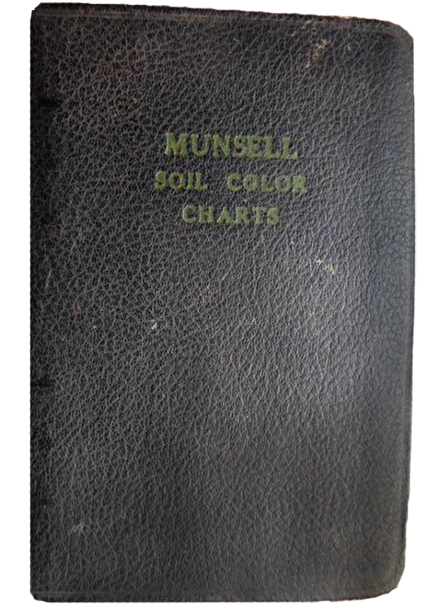 The Munsell Soil Color Book has seen its share of changes over the years. Although it’s look may have been modified, it has continued to provide consistent and reliable classification of soils based on color. Always portable and durable, so users can specify and record soil color anywhere, at any time. 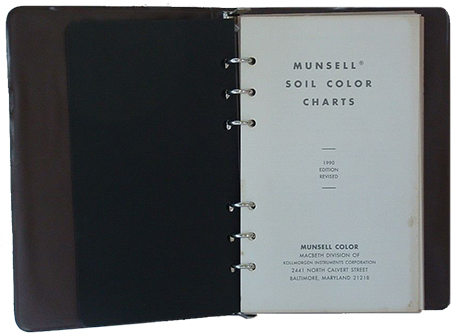 The 1st edition, released in 1954 was a six-ring binder with a dark textured cover. It was updated in 1971 to a brown vinyl cover. In 1975, the cover was changed to blue. In 1990 the book was revised again with a brown vinyl cover. There were several more revisions in the 90’s (1992, 1994 and 1998), as well as a washable version that came out in 2000. So why was it updated again in 2009? 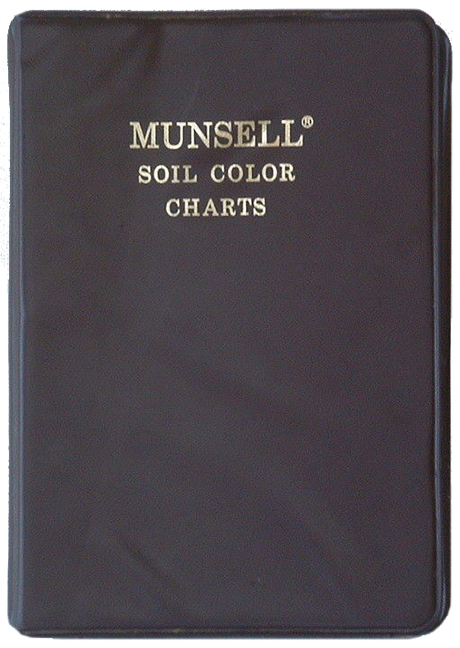 It had been many years since we made changes to the Munsell Soil Book. In our efforts to improve the book, we found a new binder process that provides a better end product to the older vinyl book covers we were using. 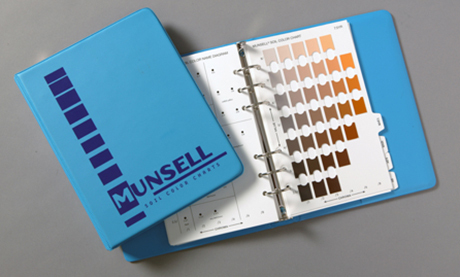 These binders are produced in a process where they are printed and laminated to make them very durable. Since there was printing available with this new process, we took advantage of the opportunity to apply visuals to the book. In the design and layout of the book, we did try to take into account all of the environments the book gets used in, in order to make sure we were not sacrificing function for design. 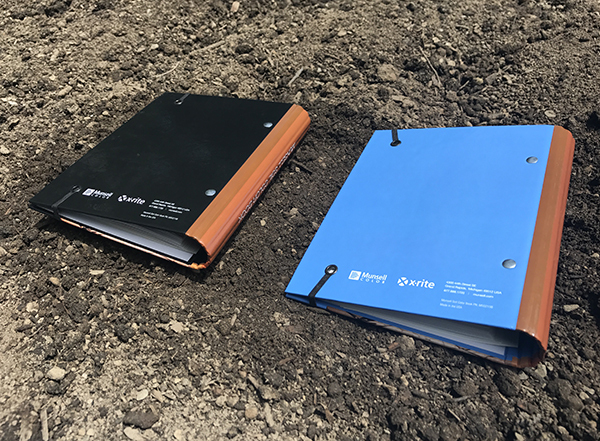 After releasing this new binder, we received feedback from users that the brown binders were camouflaged and getting lost when being used in the field. We did take this feedback and updated the binder to the blue color that had been previously used for the vinyl version.